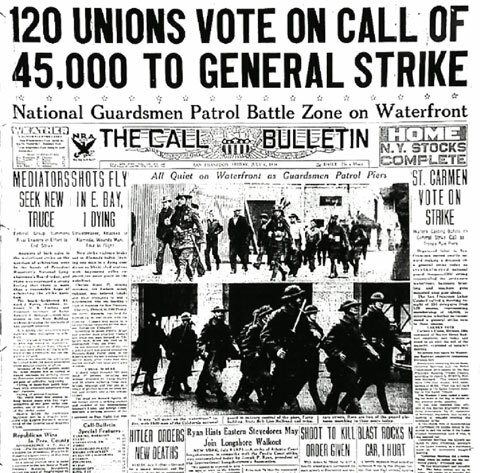 After the brutality of “Bloody Thursday” (see July 5), the Joint Marine Strike Committee calls for a general strike. The San Francisco Labor Council voted to support the call and on July 16, the city shut down as workers from all industries walked off the job. The four-day San Francisco General Strike ended with an agreement on arbitration in which most of the striking longshoremen’s demands were met.